Successfully Added Digital Camcorder, 11M Pixel, 32MB Int. Mem. SD/MMC, 2.5inch LCD to your Shopping Cart. 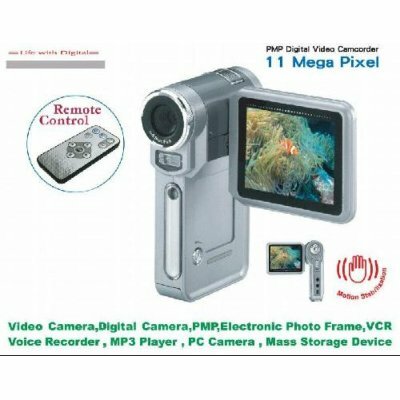 New Digital Camcorder features high quality 11 Mega Pixel (Interpolated), 5 Mega Pixel and 2 Mega Pixel still image resolution and includes 32MB internal flash. It is compatible with max.2GB SD/MMC card and PC camera function. 2.5 inch TFT color LCD screen and 5.0 Mega pixel CMOS Imaging sensor. It is able to play MP3/MPEG4 format file and operated easily by remote control..